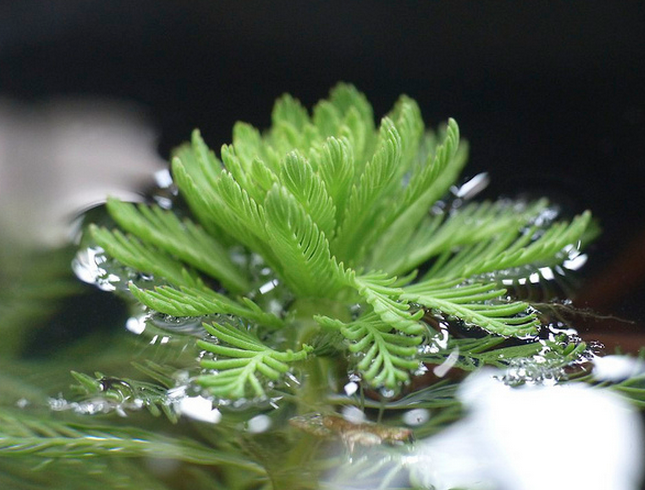 Parrot’s Feather is a semi-submerged plant that can grow up to feet in height. Its foliage is bluish green with feather like appearance that rises above the water surface. This plant provides shade and shelter to pond inhabitants and it propagates easily under ideal conditions. In water gardens, this plant is used along the pond edges and waterfalls. It is recommended for USDA regions 4-11 and can survive frozen ponds in colder regions. Here is a video of Parrot Feather in the wild.